Normally, Intel CPUs only have L1, L2 and L3 cache memories, but Intel is preparing a range of Hawell chips that will have a fourth set. They will be called Haswell GT3 and will have fourth-level eDRAM caches meant to bolster the ability of the integrated graphics chips. The chips will actually have larger graphics cores with 40 execution units instead of just 20. 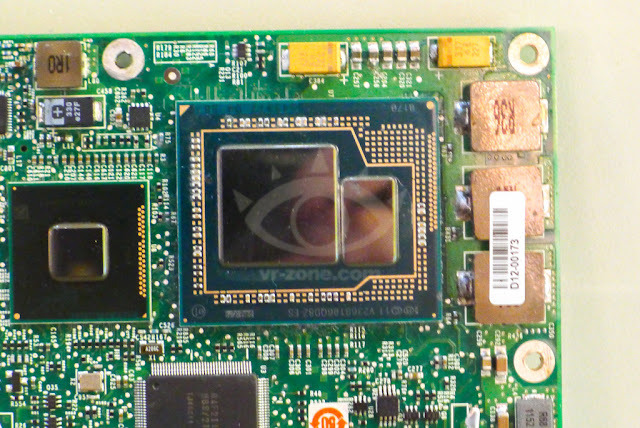 There will be an MCM (multi-chip module) of two dies, one being the "Haswell" processor complex (with cores, uncore), and the other one the large GT3 integrated graphics core. There will be an extra stop on the ring-bus too, the eDRAM PHY, which will connect to an external eDRAM silicon (the small chip on the MCM). No clue yet whether the Haswell GT3 will actually rival NVIDIA and AMD graphics. Probably not, though we suppose there might be some low-end integrated GPUs in AMD APUs that they will be on par with. via VR-Zone.